A risk factor for cerebral palsy is some event or circumstance that increases the chances that a child will develop the condition. A risk factor does not ensure that the child will have cerebral palsy, but it does make it more likely. One important risk factor is any complication of birth. A complication is anything that goes wrong or is abnormal. Birth complications do not always lead to cerebral palsy, and not having any complications does not guarantee that a child will not have the condition. However, the more complications that occur, and the more severe they are, the greater the chances are that a child will end up with brain damage and resulting cerebral palsy. Complications may be preventable and could have been caused by medical negligence. What is a Complication of Birth? A complication of birth is any problem that is a risk to the health of the mother or the baby that occurs during the birth. There are also complications of pregnancy, which are health problems occurring in the pregnant woman or in the developing fetus before labor begins. Birth complications occur during labor and delivery of the baby and can have serious repercussions for both the mother and the baby. If the complication results in brain damage to the baby, the child may end up being diagnosed with cerebral palsy. Premature labor and delivery. A preterm baby is one that is born too early before the complete gestation period has finished. This can be a problem in a number of ways because the child was not fully developed yet and may struggle to survive outside the womb. A premature baby may be at risk for cerebral palsy because early delivery can cause brain damage, low birth weight, respiratory problems, and other factors that may trigger the damage that leads to the condition. Umbilical cord complications. A number of complications that occur with the umbilical cord put a baby at risk for cerebral palsy because it is the cord that provides the fetus with blood and oxygen from the mother. If this supply is cut off the baby can asphyxiate and end up with brain damage. Potential complications include the umbilical cord wrapping around the baby’s neck and a constricted umbilical cord. Abnormal presentation. Normal presentation occurs when the baby’s head emerges first, facing toward the mother’s back. An abnormal presentation, like breech in which the baby’s bottom comes out first, can cause serious distress and potentially asphyxia. The presentation should be monitored by doctors and addressed if abnormal. Uterine rupture. When the uterus ruptures or tears during labor and delivery it may cause excessive bleeding, which is dangerous for the mother and the baby. For the baby it may result in asphyxia and resulting brain damage. Detached placenta. Placental abruption occurs when the placenta detaches from the wall of the uterus before the baby is born. This can be very serious and may result in the fetus not getting enough oxygen to the brain with a potential for resulting brain damage. Abnormal heart rate. Doctors and other medical caregivers should monitor the heart rate of the baby during delivery. If it is abnormal at any point, it may indicate that the baby is not getting enough blood. If the doctor does not take any steps to correct this, the baby may not get enough oxygen and could end up with brain damage. Birth injury. 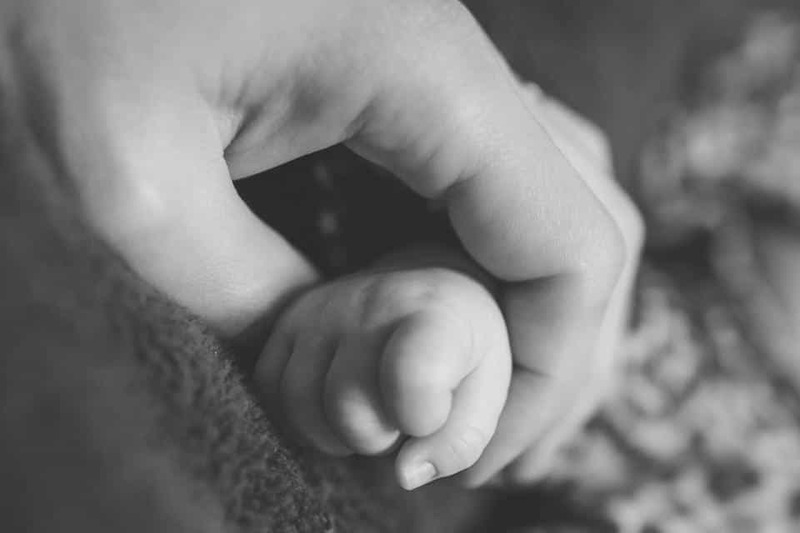 Birth injuries are any kind of physical damage to a baby as it is being delivered. This is sometimes caused by medical negligence, such as when a doctor uses forceps or a vacuum extractor with too much force. These may be used on a baby’s head to help it proceed through the birth canal and can be done safely. However, if the doctor uses too much force, the skull and brain may be damaged. Failing to address an abnormal presentation can also lead to a birth injury if the baby gets stuck in the birth canal. Labor that does not progress. When labor fails to progress it means that the mother is pushing, but the baby is not progressing into or through the birth canal. This may cause several problems for both the baby and the mother, including cutting off oxygen to the baby’s brain. Long labor requires medical intervention to protect both mom and baby. Post-term pregnancies. In most cases, when a pregnancy goes beyond the typical term, to 41 or 42 weeks, there are no health problems. However, when a pregnancy continues to 42 weeks and later, with no onset of labor, the placenta may not be able to nourish the baby effectively, and this could lead to inadequate oxygen to the brain. Avoiding or preventing all possible birth injuries is no guarantee that a child will not develop cerebral palsy. There are other risk factors and potential causes that could affect a child in the womb, during delivery, or shortly after birth. Future parents and their doctors have a responsibility to minimize the chance of complications occurring to help protect both the baby and the mother. One of the most important things a mother-to-be can do is make and keep her regular doctor’s appointments while pregnant. This gives her doctor the opportunities to screen her for potential complications and to take steps to prevent them from causing harm. If a mother does this and the doctor misses something, it may be a reasonable error, but it may also be negligence. For example, an abnormal presentation is something that is easily detected, often before labor even begins. A doctor should be screening for presentation, and there are plenty of steps he or she can take to help the birth proceed more safely. A birth injury is also something that can usually be avoided if the doctor uses instruments safely or makes the right decision to perform a Cesarean section if it is more appropriate than using instruments. If your child has been diagnosed with cerebral palsy and you had complications during labor and delivery, you may be the victim of negligence. Cerebral palsy lawyers can help you figure out if your doctor was negligent and what you can do about it to get justice and compensation for your child’s future.